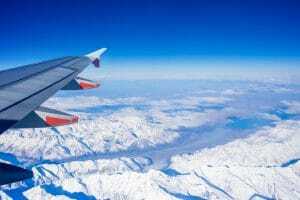 EASYJET SPRING FLIGHTS ON SALE TODAY! If you’ve been waiting for the easyJet spring flights to go on sale, today’s the day! They just launched their late spring scheduled and all their flights are now on sale. Bag yourself a bargain quick at easyJet.com before all the cheap seats go. Once you’ve booked your flights, you can book our Shared Transfers from Geneva Airport and Lyon Airport right now. Just use our BOOK A TRANSFER box below to get a price in seconds. If you’ve booked a flight to Grenoble Airport, we’ll be launching our timetable in a few weeks. To find out more about this, visit our Grenoble Spring Schedules page. Of course there are plenty of other airlines to consider, including BA, Ryanair and Swissair (who don’t charge for ski carriage!) to name but a few. Skyscanner is a great site to compare airline ticket prices.